Tickets go on sale for the brand new production of THE SOUND OF MUSIC, directed by three-time Tony Award® winner Jack O’Brien on August 12th. This lavish new production will make its Oklahoma City premiere October 11th-16th at the Civic Center Music Hall as part of a North American tour. 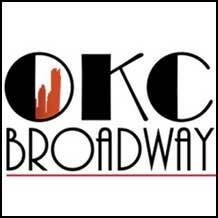 For tickets please call 405-297-2264 or visit OKCBroadway.com. For more information, please visit www.TheSoundOfMusicOnTour.com. BEN DAVIS (Broadway’s Violet, A Little Night Music, La Bohème) will play Captain Georg von Trapp and MELODY BETTS will play The Mother Abbess with MERWIN FOARD as Max Detweiler, TERI HANSEN as Elsa Schraeder, DAN TRACY as Rolf and PAIGE SILVESTER as Liesl. The von Trapp children will be played by JEREMY MICHAEL LANUTI (Friedrich), ASHLEY BROOKE (Louisa), AUSTIN LEVINE (Kurt), IRIS DAVIES (Brigitta), KYLA CARTER (Marta) and AUDREY BENNETT (Gretl). “I’ve always believed Maria was a ‘star-making’ part, rather than the leading role we remember from the movies and our experience; so I went looking for someone with star-making magic. And in through the audition door one day walked Kerstin Anderson, still studying at Pace University in New York. She opened her mouth, she sang, and the tears welled up in my eyes. The ensemble includes Carey Rebecca Brown, Ronald L. Brown, Cáitlín Burke, Christopher Carl, Patton Chandler, Daniella Dalli, Elisabeth Evans, Donna Garner, Rosalie Graziano, Darren Matthias, Julia Osborne, Rebecca Pitcher, Andrea Ross, Brent Schindele, Jim Schubin, Austin Colby, Meghan Hales, and Adam Hill.